The chief administrator of the official Paekhwawon guesthouse in Pyongyang was executed publicly for corruption in December last year, according to a source on Monday. The guesthouse accommodated President Moon Jae-in and first lady Kim Jung-sook in September last year. The chief administrator was found guilty of involvement in a corruption case during an inspection by the Workers Party's Organization and Guidance Department in October, the source added. 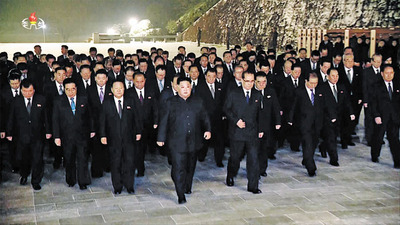 The guesthouse is run by an elite troop in charge of security for the ruling Kim family and senior officials. The chief administrator had the rank of a colonel. "US$3 million was found in his home during a raid," the source said. "He was charged additionally with affairs with female workers at the guesthouse." The public execution was held in Pyongyang in the presence of military officers and senior officials from the Workers Party. It was apparently part of a wider crackdown on corruption to tighten leader Kim Jong-un's hold on power. 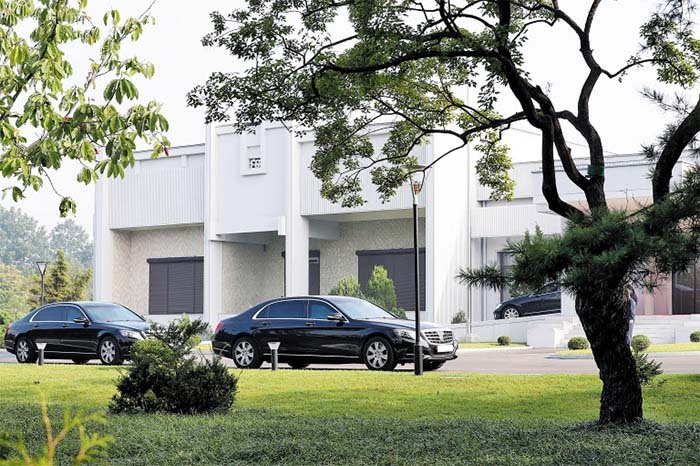 President Moon Jae-in's bullet-proof sedan is parked in front of North Korea's official Paekhwawon guesthouse in Pyongyang in this file photo taken on Sep. 17, 2018. The regime reportedly refurbished the guesthouse ahead of Moon's visit last year, and the administrator seems to have siphoned off funds. "Kim Jong-un reportedly flew into a rage when he saw the enormous bill for the refurbishment," the source said. "At his instruction, the Organization and Guidance Department conducted a thorough inspection to find out whether any money had been embezzled." Another source said corruption is common at the guesthouse because it receives goods from an agency in charge of funds for the Kim family's activities. Three senior officials were also executed for corruption around the same time. The regime is apparently tightening controls as the elite is becoming disaffected due to economic difficulties as a result of international sanctions.